What is the Nordic Poly Mark? Over time, the same product standards have become established within Europe. This, combined with almost identical construction traditions in the Nordic countries, has led to an agreement between Sweden, Norway, Denmark and Finland to introduce a common quality mark for plastic pipe products and the Nordic Poly Mark. Voluntary product certification means that the manufacturer commits to compliance with a certification scheme that has been established by an independent certification body. If the manufacturer meets all the requirements, he is given the right to designate his products with the quality mark that applies to the certification scheme, e.g. Insta-Cert/Nordic Poly Mark, as verification that his product meets the requirements. There are similar certification schemes to Insta-Cert/Nordic Poly Mark in other countries within Europe. The scope, frequency and requirement level of the controls can vary between the various national quality marks. The various quality marks are therefore not necessarily equal. 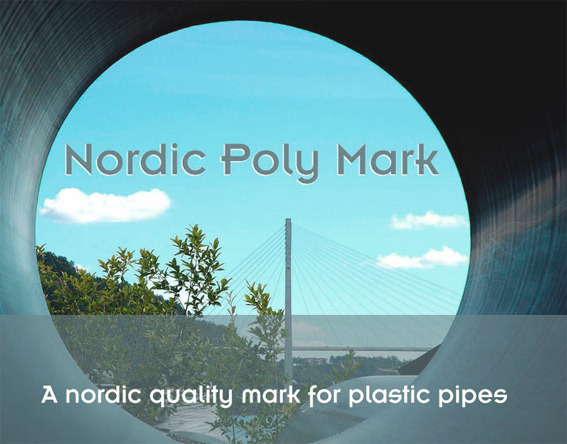 The Nordic Poly Mark fulfils the Nordic user organisations´ requirements for plastic pipes and the requirement level corresponds in principle to the levels of the previous quality marks in Norway, Sweden, Denmark and Finland. For products that are designated with the Nordic Poly Mark, manufacturers commit to ongoing controls of their production processes and monitoring by an independent test institute, i.e. third party controls. The agreement concerning internal and external controls is monitored by the Insta-Cert certification organisation and is described in separate documents and ´Separate Provisions for Certification´ (SBCs). The CE mark is intended to show that a product fulfils the legal requirements in the EU´s Construction Products Directive. Or by showing how the requirements of the Construction Products Directive are met in a supplement Zxx to the product standard. The CE mark confirms compliance by the manufacturer with the requirements in the EU´s Construction Products Directive and the performance of controls as specified in the harmonised standard or supplement ZA to the product standard, as well as the properties required. These controls only apply to a limited part of the requirements that are set out in the actual product standard. The CE mark is first and foremost intended to show that imported products comply with the EU´s Construction Products Directive. However, the manufacturer has no obligation to test the products in accordance with the product standard or to be monitored by an independent test body. The CE mark is therefore not comparable with any of the voluntary quality marks that apply to plastic pipes and must not be confused with these. 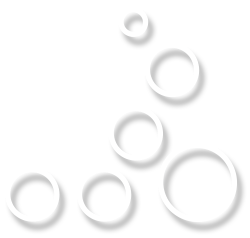 The Nordic Poly Mark is, like previous Nordic quality marks, a voluntary quality mark which requires third party control. Why demand the Nordic Poly Mark? In the Nordic region, we have previously used high quality plastic pipe products. Product quality was ensured through the former national quality marking schemes. Independent test institutes monitored production and internal controls. In cases where a number of pipe products were used in the construction industry, national bodies established the requirements and gave type approval. As these type approvals expire, they will not be renewed and will therefore be phased out. In the future, only the CE mark will apply. Unfortunately, the requirement level in the CE mark does not correspond to the previous type approvals or products certified to national standard. Specifying a quality level equivalent to the Nordic Poly Mark ensures that plastic pipe products that are used in trenches and buildings will continue to have the previous level of quality. There will not be a common European acceptance scheme for approval of materials in contact with drinking water in the near future. Until an eventual scheme is introduced, the countries which have national acceptance systems will continue with their own systems. In Denmark and Finland, there are acceptance systems for drinking water pipes. Drinking water pipes which are certified in these countries therefore have a DK-VAND (Denmark) or an FI (Finland) mark in addition to the Nordic Poly Mark. Norway and Sweden do not so far have a national acceptance system for materials which are in contact with drinking water. They therefore often support the Danish or Finnish system, and many drinking water pipes produced for the Norwegian and Swedish market can therefore be marked with the DK-VAND or FI mark in addition to the Nordic Poly Mark.